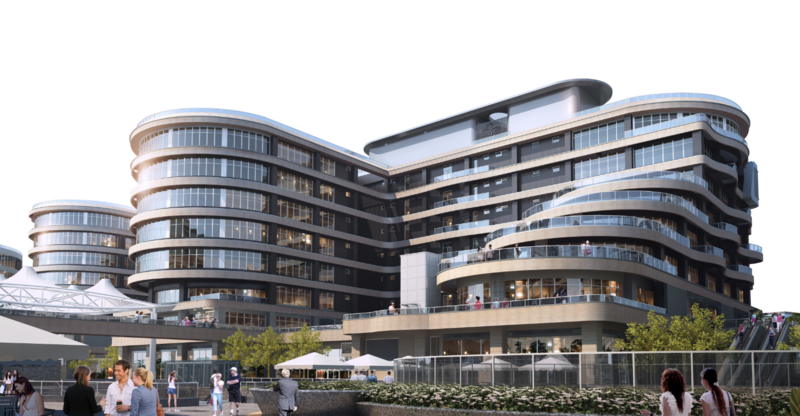 Favorably located in the west of downtown Shanghai, SCS Hongqiao Central Business District (CBD) capitalizes on the area’s advantage of international connectivity to build up a business center and community for Swiss SMEs. The Hongqiao CBD’s proximity to the Hongqiao Transportation Hub, and established facilities represented by the National Exhibition and Convention Center (Shanghai) has attracted a large number of corporate headquarters and companies of high-end business, modern service and innovative technology. 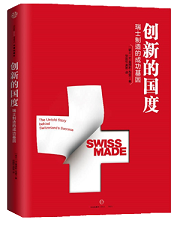 Such integration of amenities and conditions favorable for business activity will make it desirable for Swiss SMEs seeking a business hub in Shanghai with a footprint throughout the Yangtze River Delta (YRD) region. 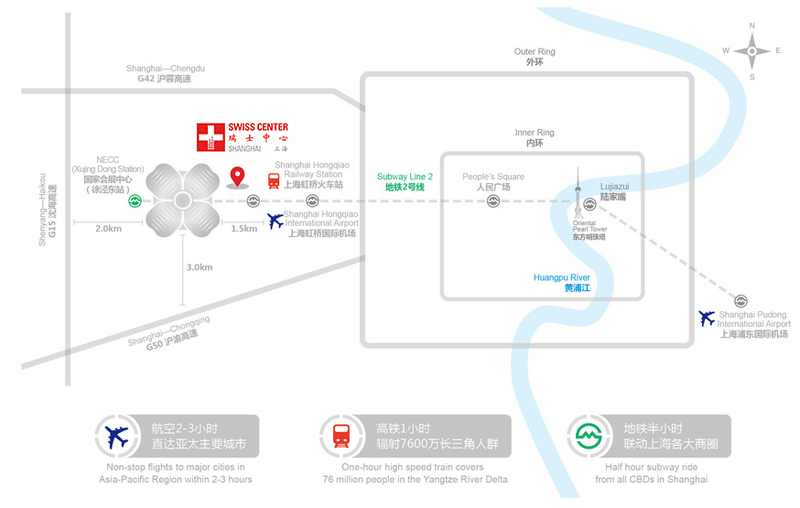 Lying adjacent to Hongqiao Transportation Hub, Swiss Center Hongqiao CBD enjoys instant access to high-speed rail, air travel, as well as road links and metro. Less than 300 kilometers away from dozens of major cities in the YRD region, the location is also the bridge connecting Shanghai and the rest of the YRD zone. With the support of high-speed rail, the commute time to nearby urban centers of Nanjing and Hangzhou is reduced to only 90 minutes and 45 minutes respectively, which will also help lower business operation costs overall. Hongqiao CBD’s unique geographical advantage and transport advantage is effectively transformed into a factor in acquiring talents. The multiple international schools within a 5km radius also add attractiveness to the Hongqiao CBD amongst foreign companies. 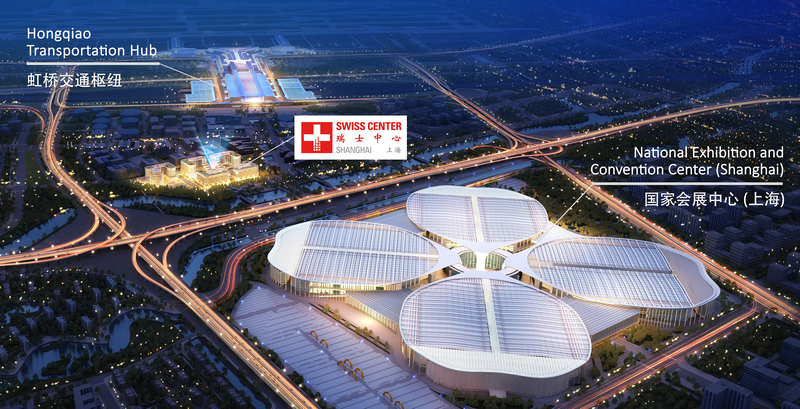 Join Swiss Center Hongqiao CBD! 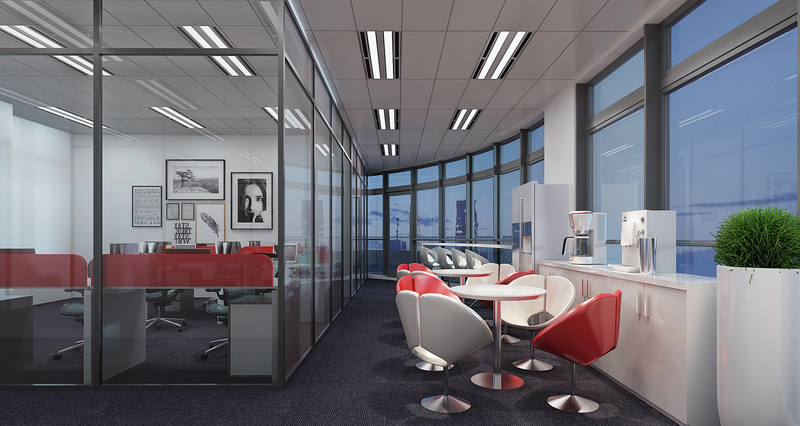 Check out available office space here.